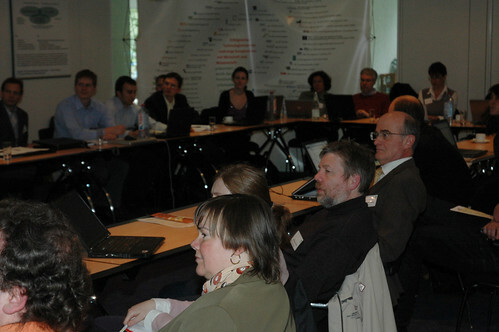 On July 2, 2009 LTRI (London Metropolitan University) hosted the successful MATURE Workshop on User Centred Requirements Processes for E-Learning and Knowledge Management – A European-Wide Perspective. The day enabled the cross fertilisation of ideas between MATURE and other key European projects, research centres and individuals. The formal presentations and discussions were of a high quality and the slides from these can be viewed by following the links for talks in the agenda (above). Furthermore, the informal discussion over coffee and lunch were insightful and wide-ranging. In order facilitate networking with the consortium and among MATURE's associate partners, we have created a LinkedIn group. You are invited to join and start discussing how the MATURE Associate Partner meeting on April 30, 2009 in Karlsruhe should look like!